Are you wondering what happened to Concours Volkswagen in Glendale, WI? Where did they go? 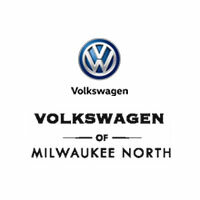 Concours is now Volkswagen of Milwaukee North. Local residents will be excited to learn that one of the leading new and used car automotive groups, Umansky, has come to the Milwaukee area. We are very excited to bring our knowledge, expertise, and customer-focused principles to serve your growing community. While many residents may remember the excellent Volkswagen service and sales they received at Concours, we are ready and waiting to provide the same great deals and service to previous Concours customers in the Milwaukee area. Umansky Auto Group specializes in new and used car dealerships that deliver luxury, service, and excellence for local residents. Transferring ownership of Concours’s Volkswagen dealership to Volkswagen of Milwaukee North was not an easy thing to do, but ultimately it was the right thing. Our new dealership is poised to help the Milwaukee community grow. We look forward to providing you with exceptional car sales, auto leases, financing, service, parts and more, as well as creating more area jobs and finding ways to positively support local organizations in need. If you depended on Concours in Glendale, WI, as your source for dependable auto sales, service, parts and more, then come visit us today. As an area resident and Volkswagen owner, your satisfaction is important to us. We look forward to meeting you online, in-person, or by phone at (844) 615-6330.